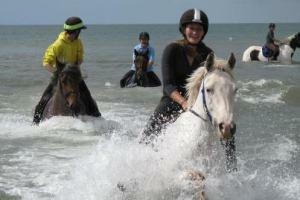 Wales Trekking and Riding Association01497 847464work Horse RidingDiscovering Wales on horseback allows for a truly amazing experience in this beautiful part of the world. The Wales Trekking & Riding Wales Association Centres are all inspected and accredited - book your experience with confidence. All centres offer the beginner and experienced rider a varied type of riding or driving that include lessons, trekking, hacking, trail riding, carriage driving, as well as accommodation and B&B for horse and rider. No country in the world offers such varied riding in the mountains of Snowdonia, the gentle hills of Anglesey, the sweeping Bays of Gwynedd or the beautiful countryside of the Welsh Marches. Discovering Wales on horseback allows for a truly amazing experience in this beautiful part of the world. Some Centres open all year round.